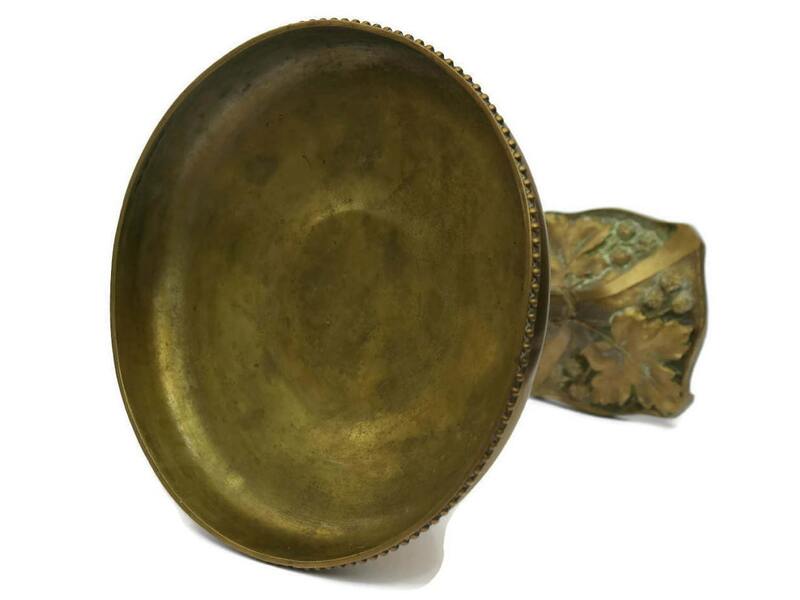 French Antique Bronze Compote Dish Decorated with Vine Leaves. 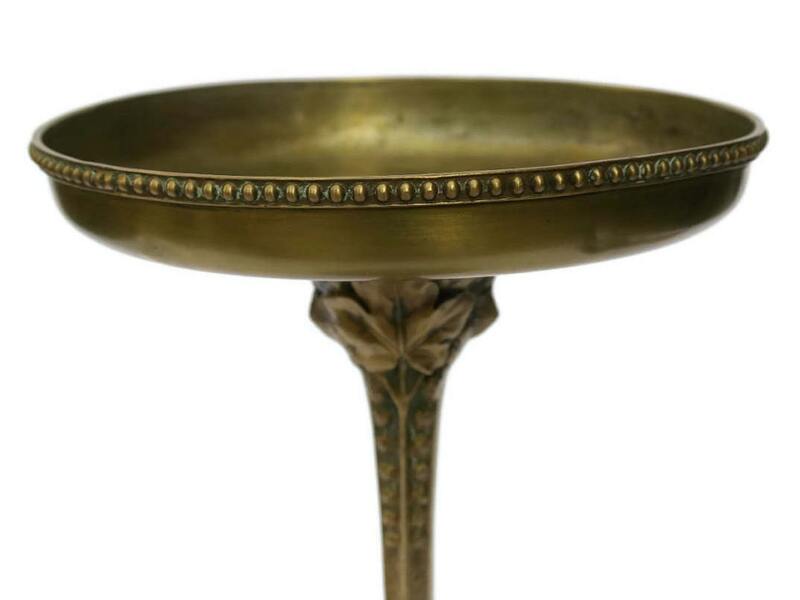 A magnificent antique French compote dish dating to the turn of the lasr century and found at an antiques market in the South of France. 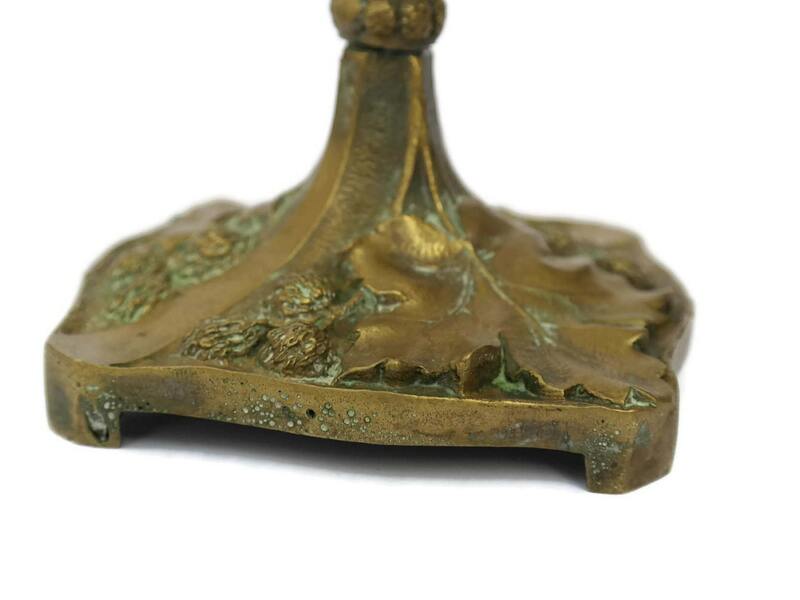 The elegant footed dish has been cast from bronze and features an ornate autumnal design of grape vine leaves and sun-dried raisins. 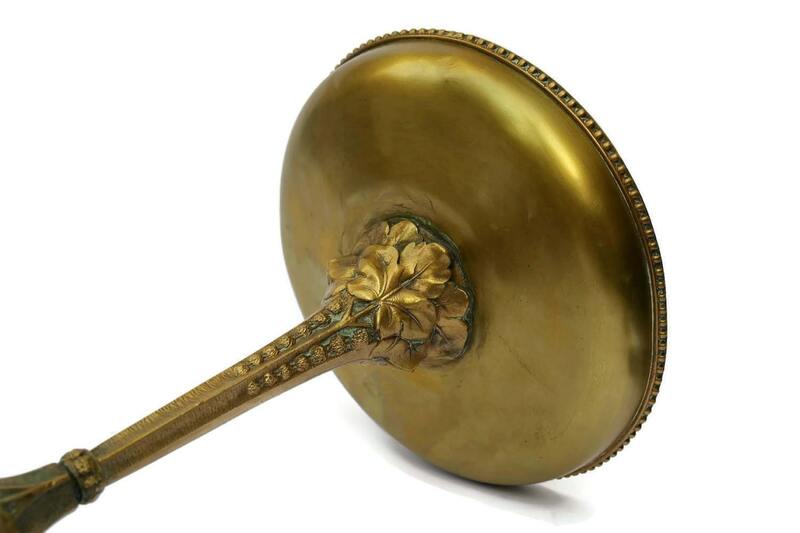 he piece has no visible maker's marks or stamps. 11" tall x 8 1/2" in diameter (28cm x 21.5cm). 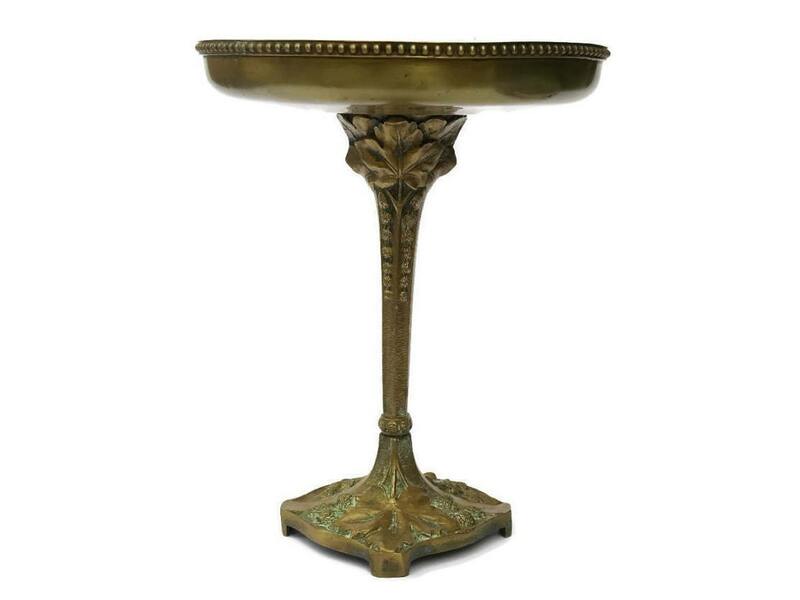 The antique bronze compote is in very good condition with an attractive aged patina. There are small dents to the surface of the metal in places.